All India Postal Accounts & Audit Pensioners Association leader and Ex-General Secretary, All India Postal Accounts Employees Association (AIPAEA) Com.D.V.Dhaktod expired on 30-08-2018 at 07-30pm at Nagpur. 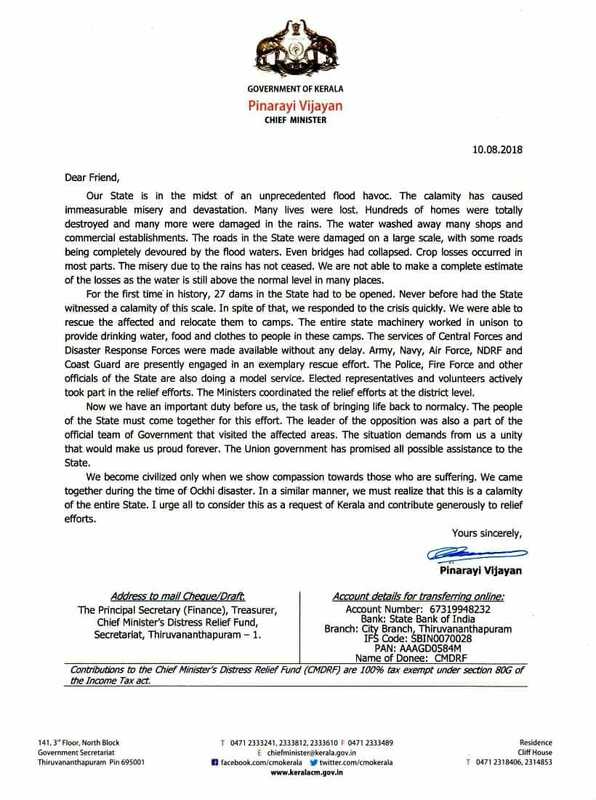 Confederation National Secretariat pays respectful homage to the departed leader and conveys our heartfelt condolences. 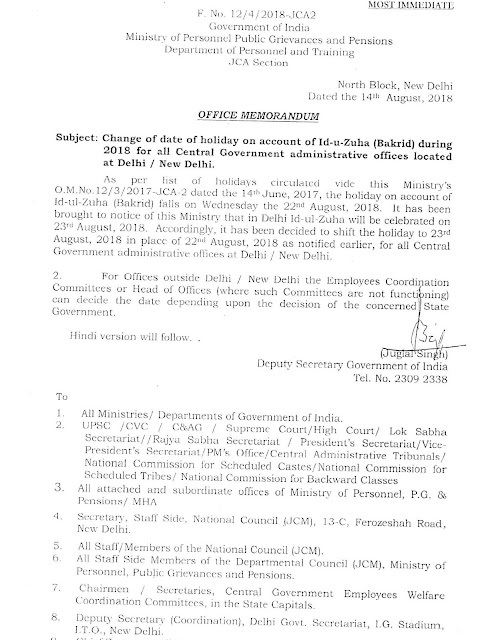 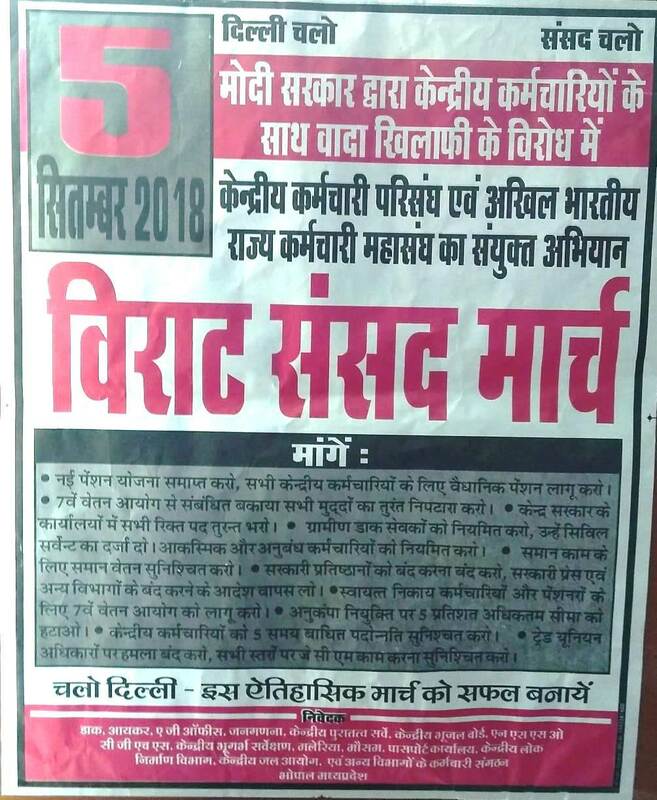 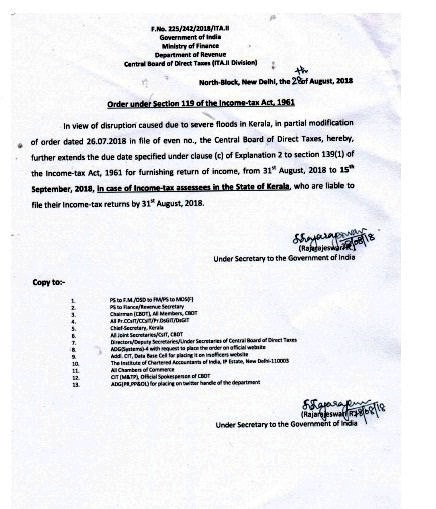 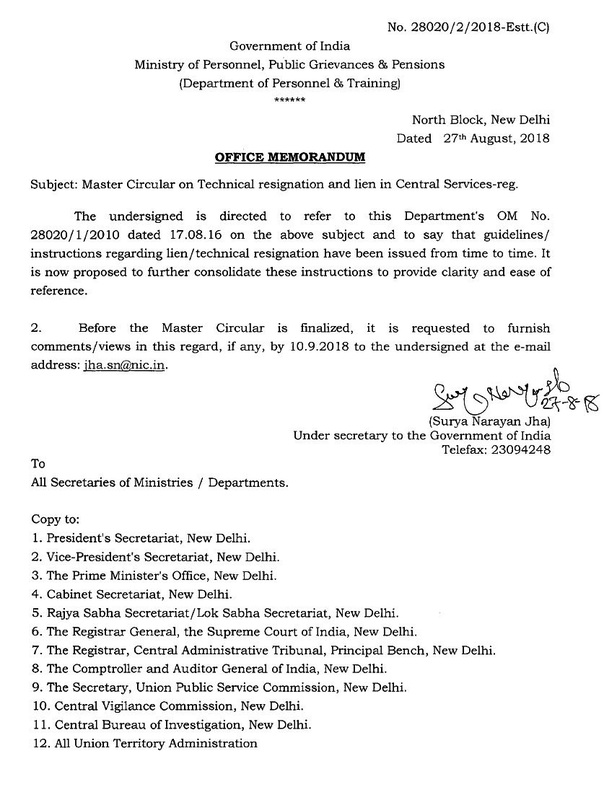 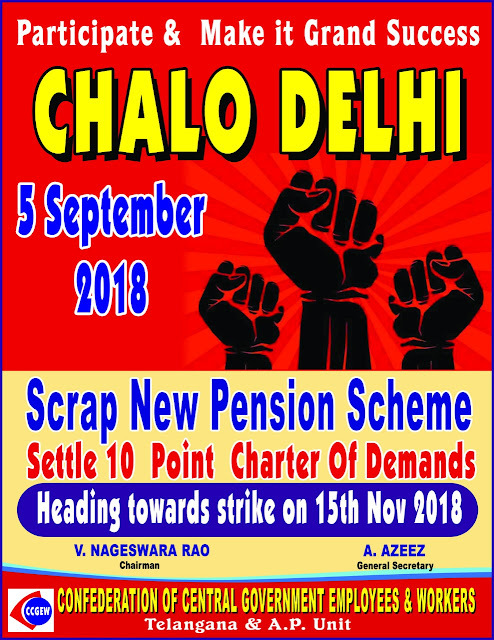 Confederation National Secretariat calls upon all affiliated Organizations and State / District level C-O-Cs to observe "Demands Day" on 19th September 2018 (if possible, jointly with Railway & Defence Federations) through out the country by holding protest demonstrations and rallies at all centres and also in front of all offices. 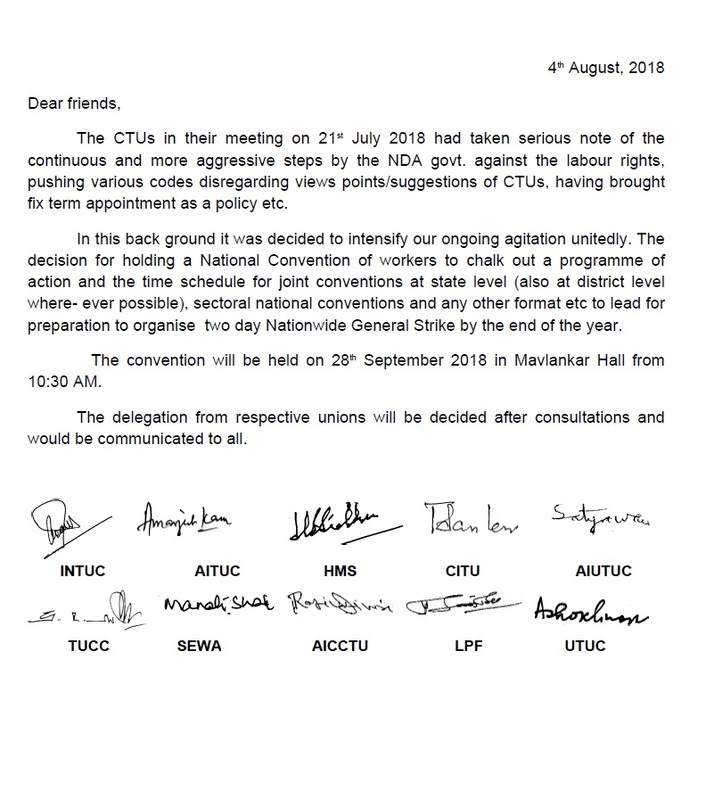 CONFEDERATION, NFPE AND AIDEF INSISTED REVIVAL OF INDEFINITE STRIKE -- AUTHORIZED NJCA CHAIRMAN AND CONVENER (RAILWAY FEDERATIONS - AIRF & NFIR) TO TAKE FINAL DECISION REGARDING INDEFINITE STRIKE . NJCA meeting was held on 18-08-2018. 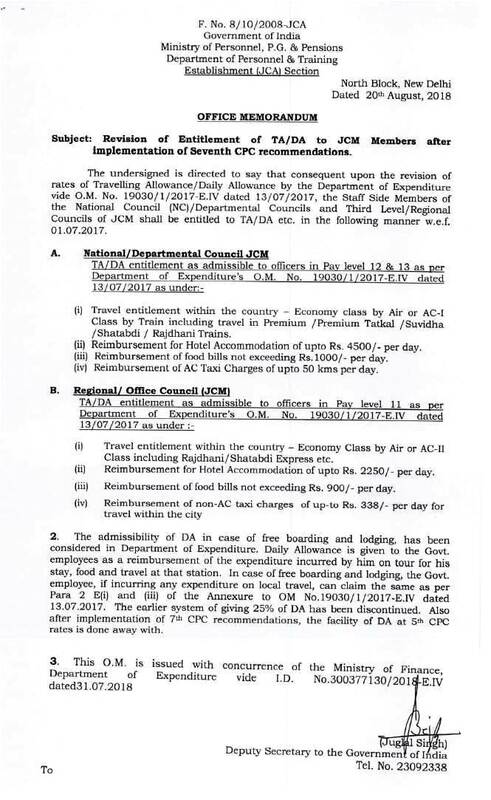 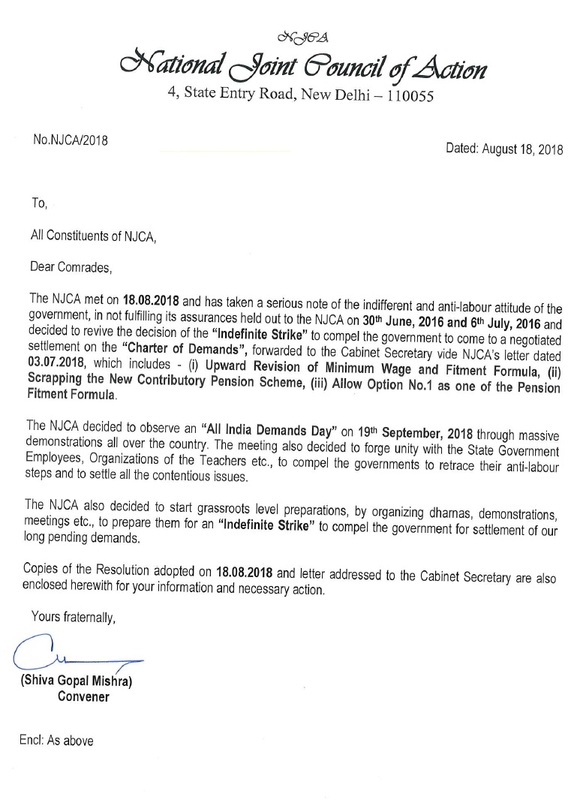 Government has ignored the ultimatum given by NJCA and has not given any cognizance to NJCA's Resolution adopted on 03-07-2018 and the letter dated 03-07-2018 addressed to Cabinet Secretary. 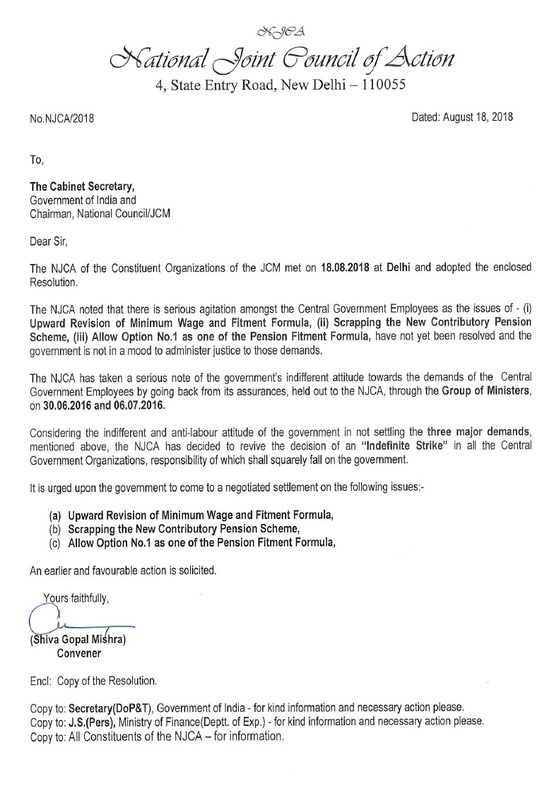 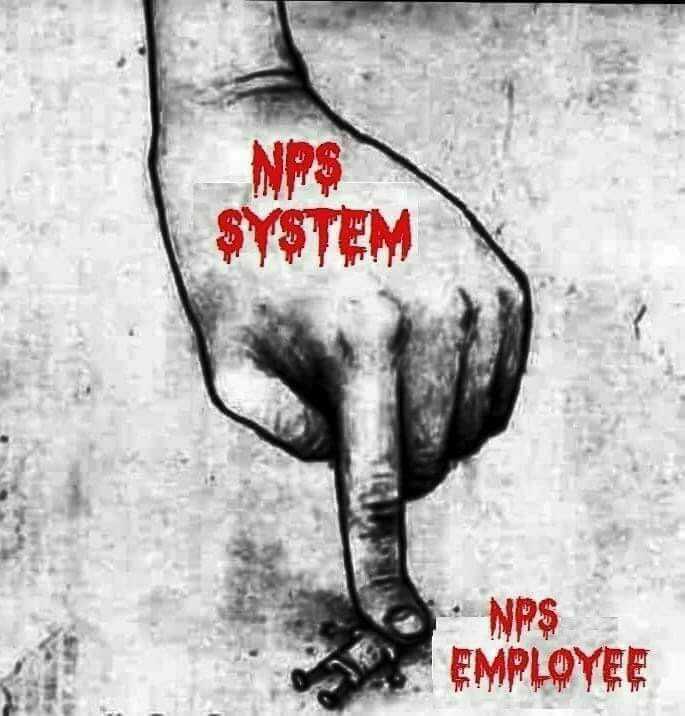 Government has betrayed NJCA and entire Central Government employees and Pensioners. 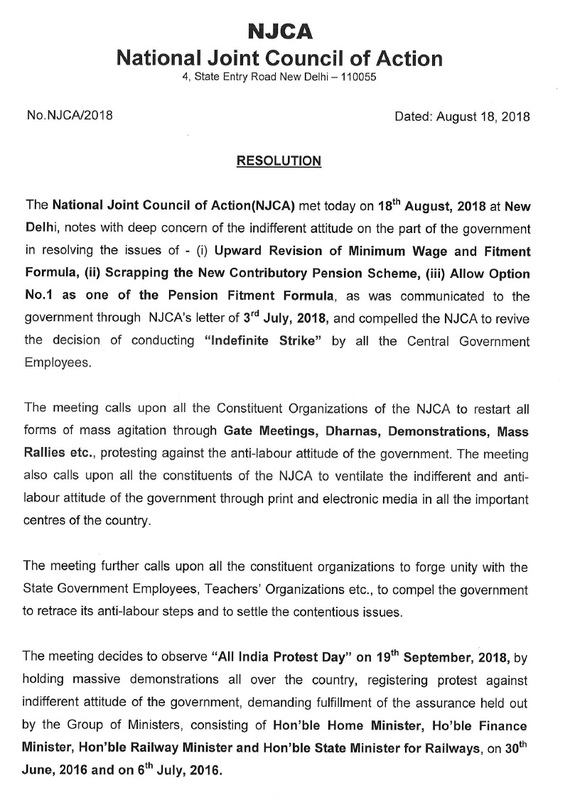 Therefore, the Representatives of Confederation, NFPE and AIDEF insisted to revive the indefinite strike and start preparations for the strike immediately, as all employees are eagerly waiting for such a decision from NJCA. 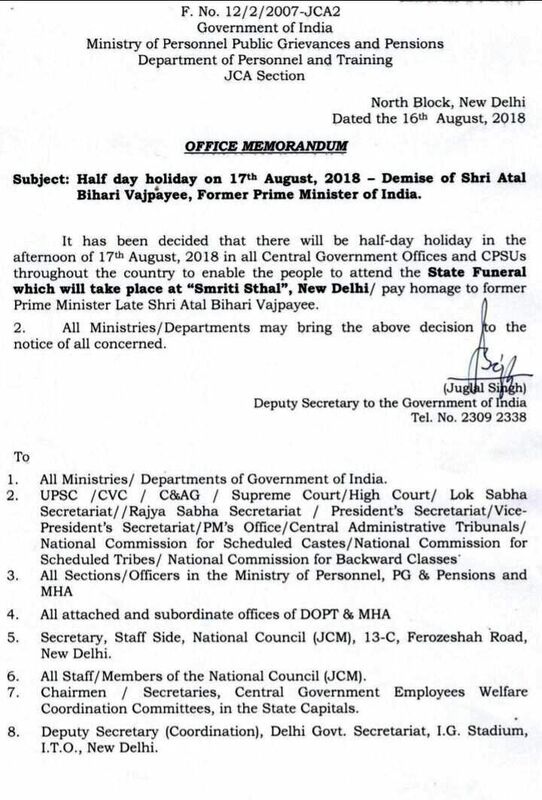 CONFEDERATION NATIONAL SECRETARIAT PAY RESPECTFUL HOMAGE TO SHRI ATAL BIHARI VAJPAYEE, FORMER PRIME MINISTER OF INDIA. 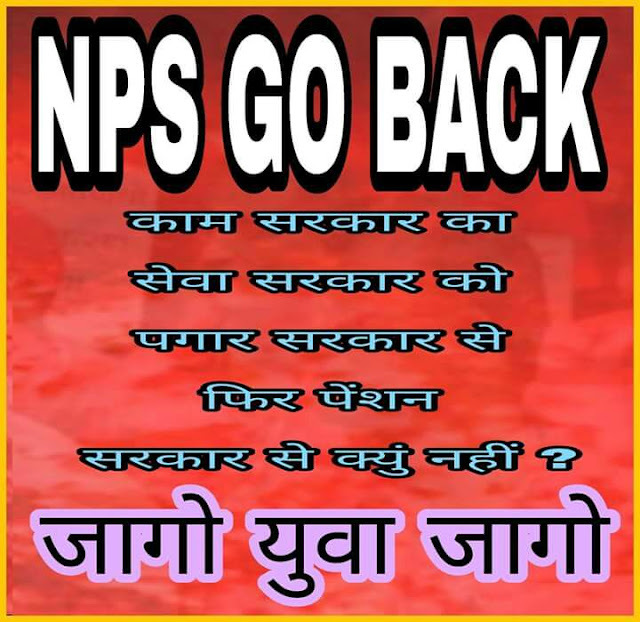 It was due to the perseverance and struggles of Atal Ji that the BJP was built brick by brick. He travelled across the length and breadth of India to spread the BJP's message, which led to the BJP becoming a strong force in our national polity and in several states”, the Prime Minister said in a series of tweets. 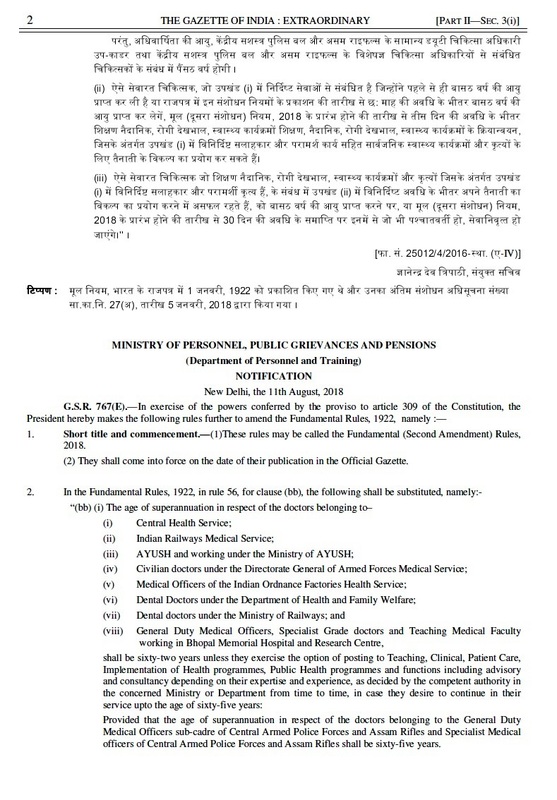 Earlier All India Institute of Medical Sciences New Delhi issued a Press Release informing that the Former Prime Minister, Shri Atal Bihari Vajpayee passed away at 05:05pm. 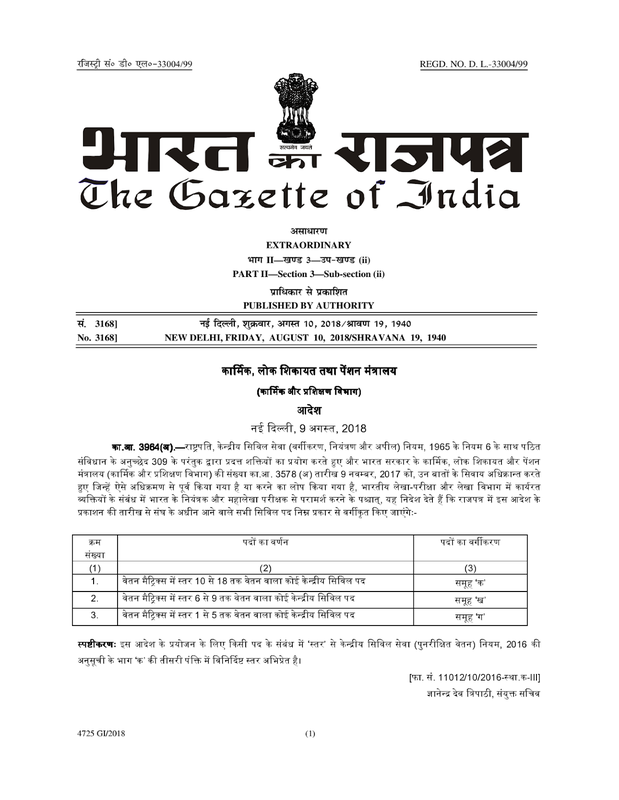 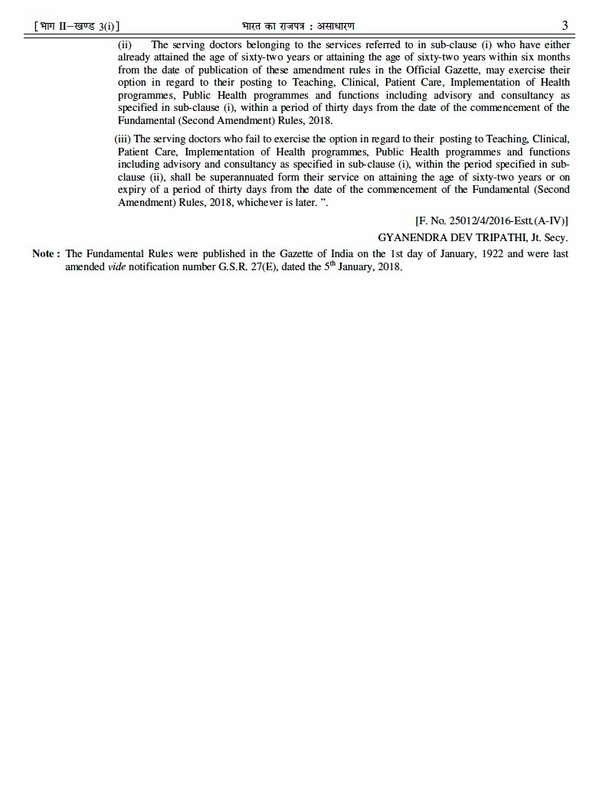 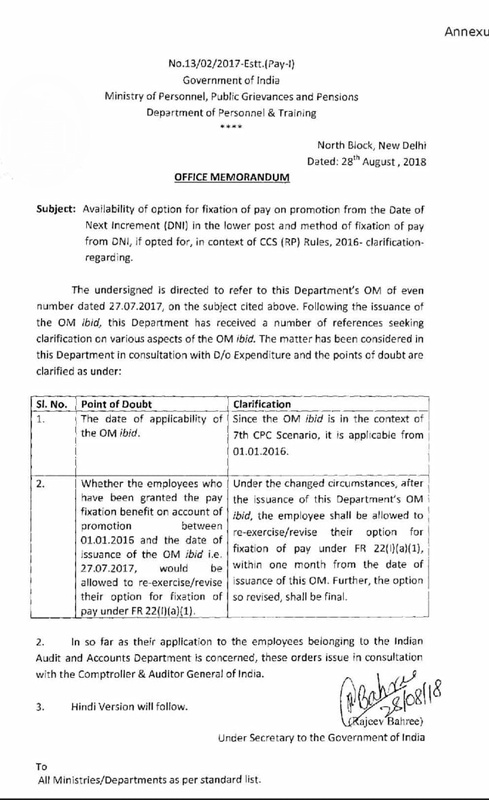 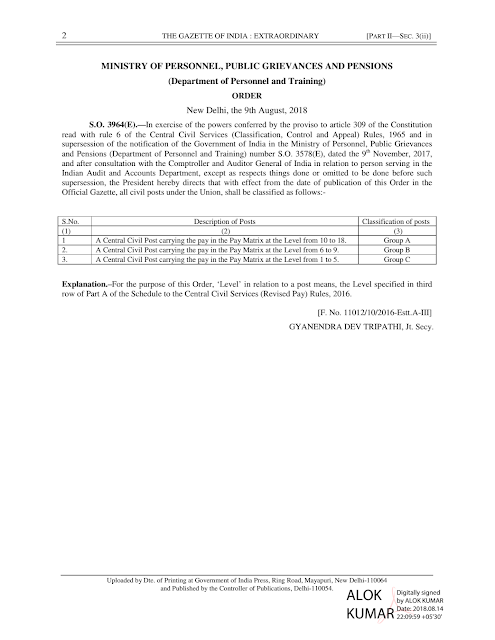 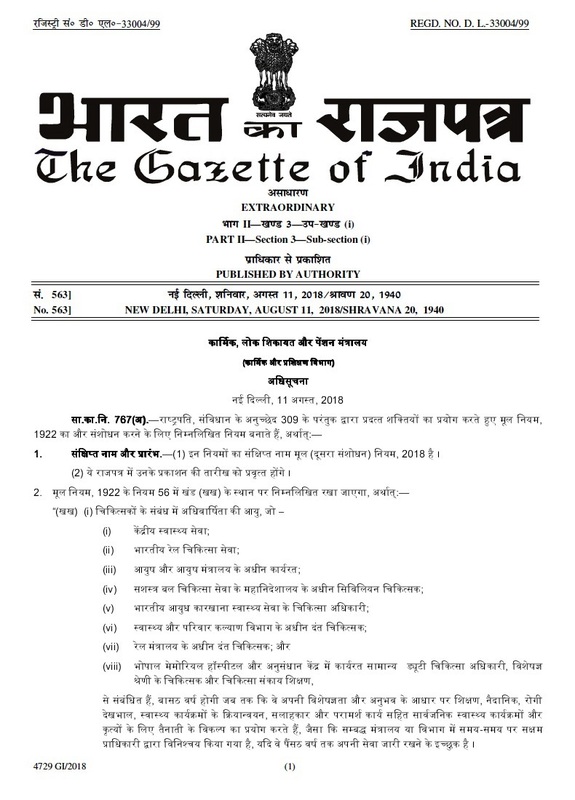 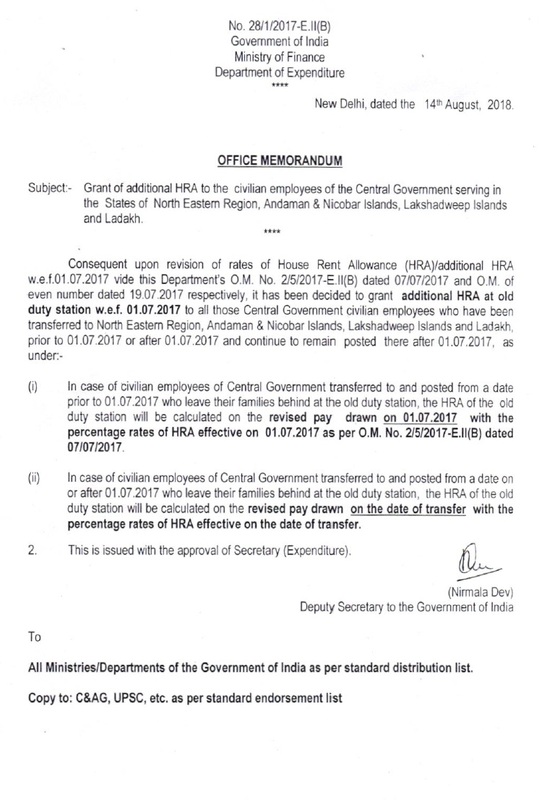 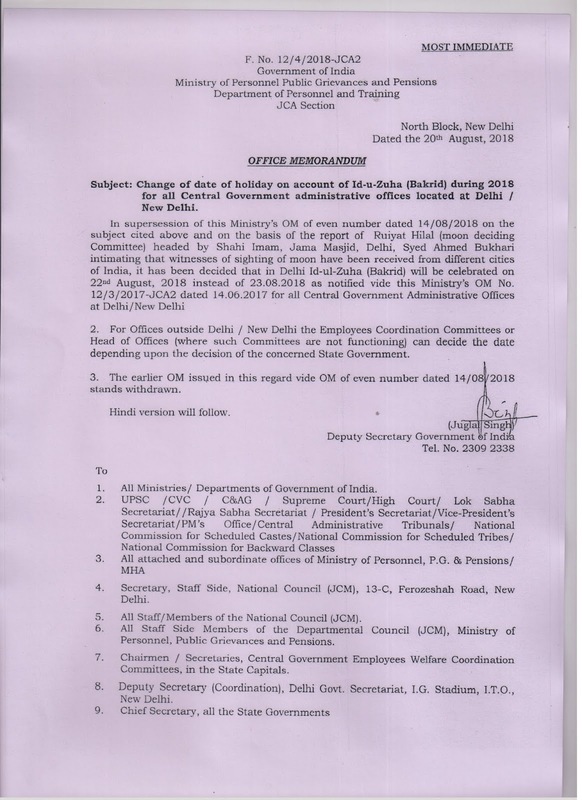 Grant of additional HRA to the civilian employees of the Central Government serving in the States of NE Region, A & N Islands, Lakshadweep Islands & Lakah.